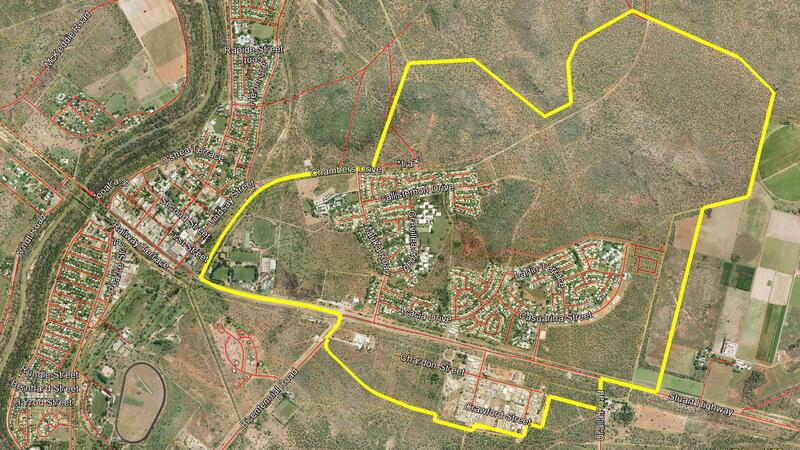 The Northern Territory Planning Commission has started work on developing an Area Plan for Katherine East. The project is being referred to as Katherine East Area Plan. This is an opportunity to build on the vision expressed in the Katherine Land Use Plan 2014 and ensure that it will be reflected in this plan. Katherine is central to the regions' tourism, agribusiness and defence sectors and sits at the junction of the Stuart and Victoria Highway linking north to south and out to Western Australia. Katherine is a major service provider to all communities from the Gulf of Carpentaria to the WA border. Katherine East has been identified as the future suburban growth area of Katherine. Long term land use planning will consider how and where development should occur to maximise investment in infrastructure, use land efficiently and create enjoyable spaces for people. Area Plans provide a detailed framework for land use change, to inform future rezoning decisions and development of land. These plans contain planning principles and objectives to give the community, industry and decision-makers a degree of confidence and understanding about potential land uses. The Area Plan for Katherine East will build on the overarching direction provided by the Katherine Land Use Plan 2014. Planning is informed by population and infrastructure studies with stakeholder and community feedback being a key influence. Area Plans are included in the NT Planning Scheme and must be considered by the Minister or the Development Consent Authority whenever a rezoning or development is proposed. Area Plans do not alter existing use rights and land can continue to be used in accordance with the current land use zone. Area Plans also do not automatically rezone land. If a landowner wants to develop in accordance with the Area Plan the landowner must first rezone the land by applying to the Minister responsible for administering the Planning Act. The Katherine East Area Plan is being developed over three stages. Stage One up front community consultation on the discussion paper (8.9 mb) and the undertaking of background investigations closed on 14 December 2018. Stage One was an opportunity for the community to get involved and provide feedback and comments on their vision for the Katherine East Area. The Stage One Consultation Report (433.6 kb) summarises the key themes that were identified by the community during consultation. Stage Two will include the release of a draft Area Plan. The draft Area Plan will be prepared taking the community feedback and background investigations from Stage One into account. Stage Three is the final stage of the project. The Planning Commission will finalise and recommend the Area Plan and associated documents to the Minister for Infrastructure, Planning and Logistics for public exhibition as a proposed amendment to the Northern Territory Planning Scheme. Stage 2 consultation activities will commence in mid-2019. All feedback received throughout the consultation process will help us develop the final Area Plan which will be recommended to the Minister for Infrastructure, Planning and Logistics for public exhibition as a proposed Planning Scheme amendment.